Mixed Bean soup is one of our top sellers, and its a common thing for us to find and hear about new ways of preparing our soup mix so we have devoted a page to share ideas for just that purpose. 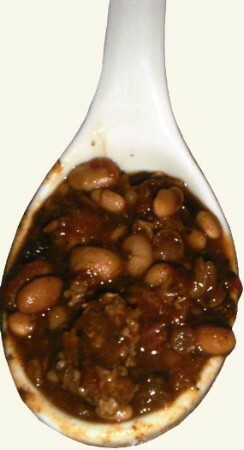 Check out our Mixed Bean Soup Receipes. Soaking Method: let stand in 3 to 4 cups cold water overnight. Drain and rinse beans (soaking is not required but lowers the cook time, if choosing not to soak beans make sure they are still washed off before cooking). In a 5 quart pot, combine the ingredients of flavor packet and beans with 8 cups water and a 14.5oz can of stewed tomatoes, then bring to a boil. Stir often. Cover and boil unit beans are tender. Add more water if necessary. At this time you may add pieces of meat if desired. I was taken by surprise when my husband said, "This is really good!) He almost never says food is good. Virginia Cured (Salt) Ham is excellent in it. bought the soup at a festival in orlando! very tasty and easy to prepare! will buy more in the future! My whole family loved this soup! I made it exactly as directed, then added 1 lb of grilled sliced kielbasa for the last 30 minutes or so. My husband said, "Please make this once a week!" My husband and I LOVE this soup. It's delicious by itself as prepared, but sometimes we like to add ham, too. Great with a side of cornbread. Excellent soup. I add smoked ham and dry or medium-dry sherry, to taste. Chorizo is my list of additions to try next.